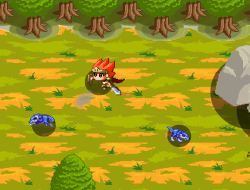 Dashn Knights is a strategy game which will also need a bit of skill to master. There are lots of experiments being conducted in secrecy up north and you have been sent to investigate this issue. Choose a difficulty first and then follow the kings orders. He will send you to different key locations and your job is to clear them of any mobs. There are a few actions you can do in different situations, you can attack, defend, try to counter, or use an item. Master these and know when to use which one of them to be able to complete the game on tougher difficulties. Dashn Knights 0.00 between 0 and 10 based on 0 votes.